LOCATION, LOCATION, LOCATION!! The property is located across the street from the Gulf of Mexico to enjoy the beautiful sunsets. This 3 bedroom/2 bath/2 car garage, 1600 sq. ft. house offers an eat in kitchen, living and family rooms with an inside laundry room with a full size washer and dryer. There is ceramic tile in the kitchen with wood like flooring throughout the house. 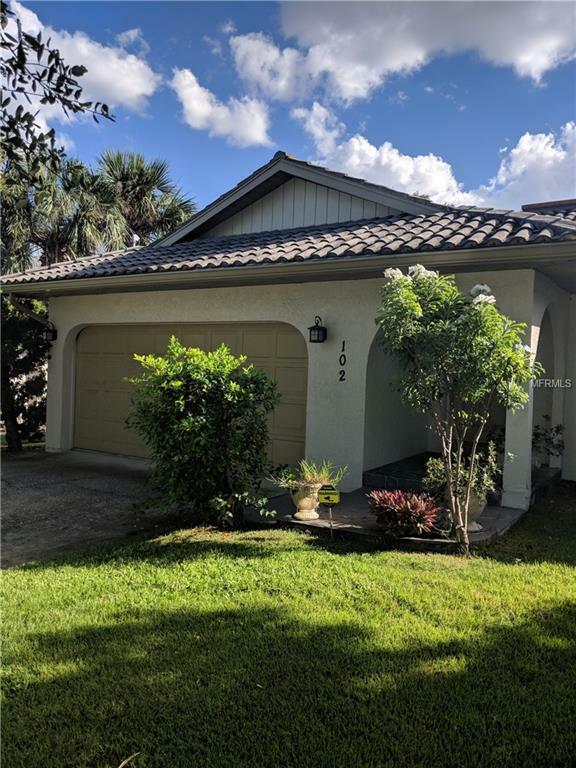 There is a screened in Florida Room and a fenced back yard will allow you to relax and entertain family and friends.It's walking distance to the Belleair Beach Community Center, the tennis courts and a playground . There is a public boat ramp and also a private parking area for the Belleair Beach residents. You'll love Belleair Beach!! !